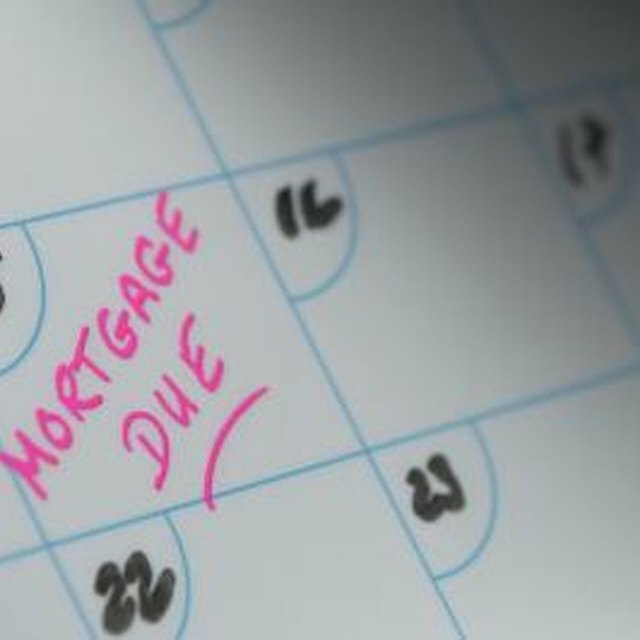 Do You Still Have to Make Mortgage Payments if You Have a Deed in Lieu of Foreclosure? If you're struggling because of a financial crisis to make your monthly mortgage payments and you want to avoid foreclosure, you can try to negotiate a deed in lieu of foreclosure arrangement with your mortgage lender. Under such an arrangement, you voluntarily give your home back to your lender, allowing your lender to sell it on the market. Once you complete such an arrangement, you no longer have to make mortgage payments on your former home. Mortgage lenders will sometimes accept a deed in lieu of foreclosure if they first determine that foreclosing on your home will take too much time and money. Before your lender will accept a deed in lieu, though, you must first prove that you can no longer make your mortgage payments. You can do this by sending your lender copies of any financial documents that demonstrate a loss of income or increase in living expenses. Such documents can include your most recent paycheck stubs, tax returns or bank account statements. You can also send in copies of your credit card bills or medical bills. Once you complete a deed in lieu of foreclosure with your lender, you are no longer responsible for making your monthly mortgage payments. The home you once lived in is no longer yours. It now belongs to your lender, which can try to sell it on the open market. By giving your home willingly to your lender, you satisfy the requirements of your mortgage contract. Your lender as part of the deal agrees to forgive the remainder of your mortgage debt. Before 2007, homeowners who completed a deed in lieu of foreclosure had to pay taxes on the amount of mortgage money their lenders forgave. That's because the IRS considers forgiven debt as income. But in 2007, Congress passed the Mortgage Debt Relief Act. This legislation stated that homeowners did not have to pay taxes on any debt that their mortgage lenders forgave. At the time of publication, Congress had voted to extend this act through 2013. Once the act expires -- which it is slated to do at the end of 2013 if Congress does not vote to extend it again -- homeowners will have to once again pay taxes on forgiven mortgage debt. A deed in lieu of foreclosure will hurt your credit score. A deed in lieu will affect different consumers in different ways, depending on their initial credit scores, but you can expect your score to fall from 85 to 160 points if you give your lender a deed in lieu of foreclosure -- and it will remain on your credit report for seven years. Forbes: Deed in Lieu of Foreclosure: Naughty or Nice?